Premiere Sales carries high quality, affordable alternatives to the Whirlpool water filters. Our Whirpool compatible replacement water filters fit just like the Whirlpool water filter orginals (a universal dimension of 2.5 x 10 inch) and provide up to 500% higher gallon capacity. This means you save time and money not having to replace your water filters as often. Our drop in water filter cartridges install quickly in your Whirlpool filter system and are hassle-free replacement. Whirlpool is the world’s leading manufacturer of major home appliances. They have a long-standing history with their brands serving consumers in every region of the world. They produce a number of home water filters, including whole house, central and under-sink water filtration systems. 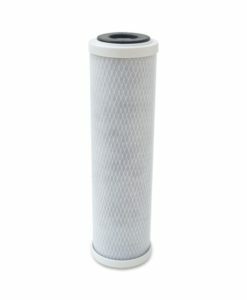 Premiere Sales carries high quality, low cost replacement filters to fit Whirlpool water filter systems. Say goodbye to sediment and chlorine odor and taste. All our Whirpool compatible water filters are made in the USA.